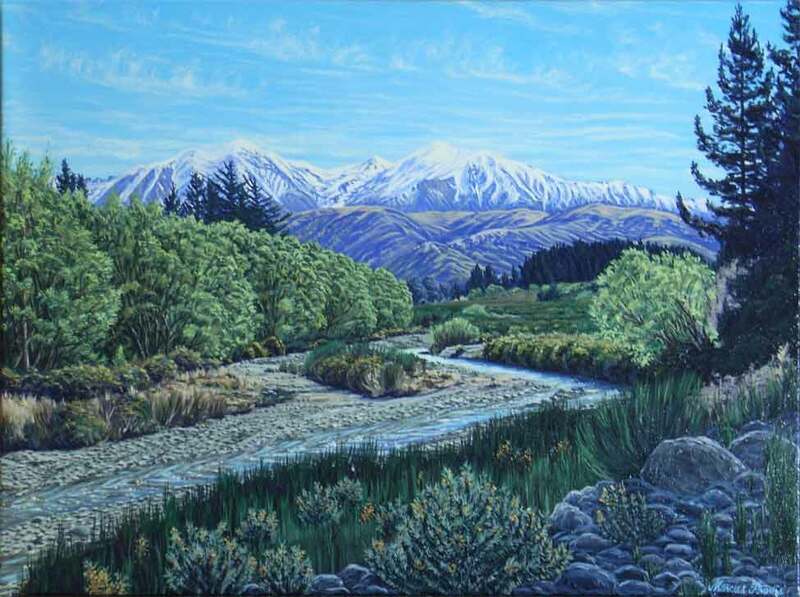 Born in Christchurch in 1972, since a very early age, Marcus has had an interest in art, spending much of his childhood sketching and drawing. With a love of wildlife and the outdoors, Marcus paints realism landscape art, in oils. 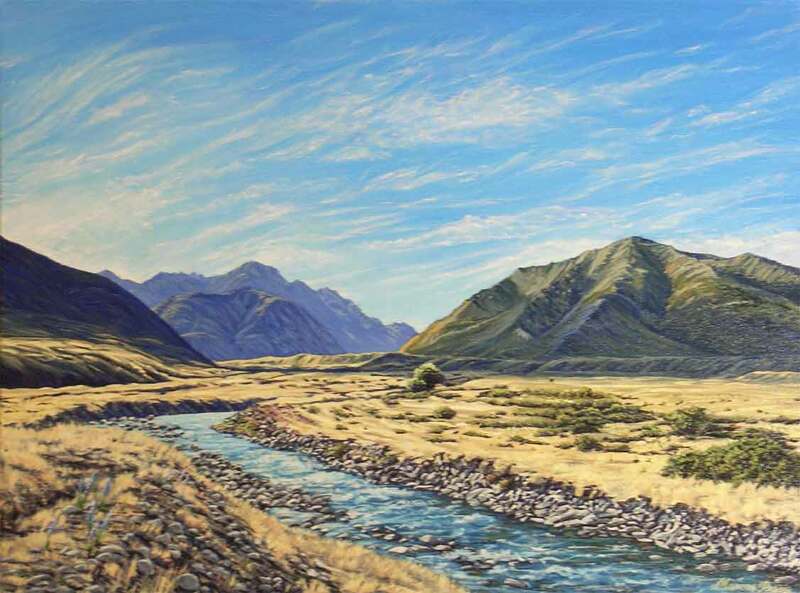 He largely focuses on South Island back country and mountains scenes and is inspired by their beauty. Apart from helpful advice from his family (his oldest brother is professional artist Nathaniel Provis and his mother is also an artist), he is largely self-taught. 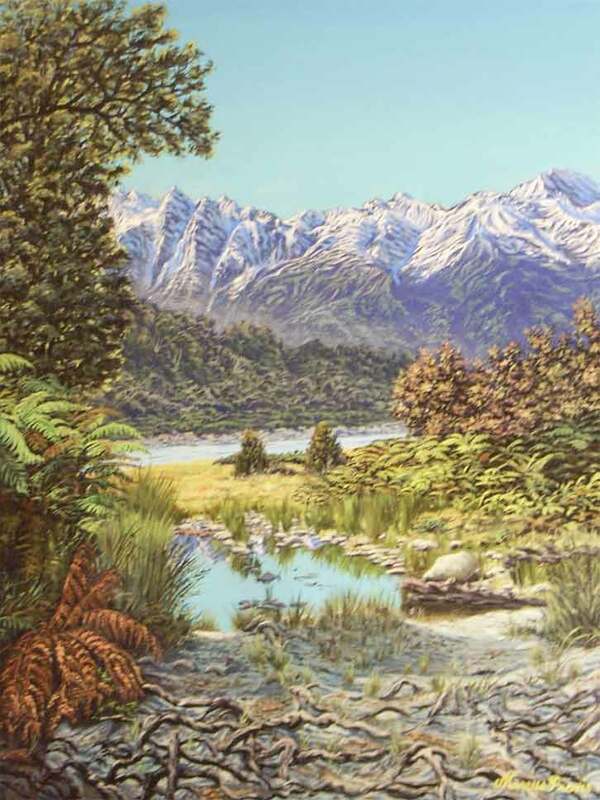 "View of the Torlesse Range, From the Road to Kowhai Bush, Canterbury"
"Clarence River, Near Lake Tennyson"